To find a new way to communicate the carbon benefits of using wood and timber in the UK construction sector. 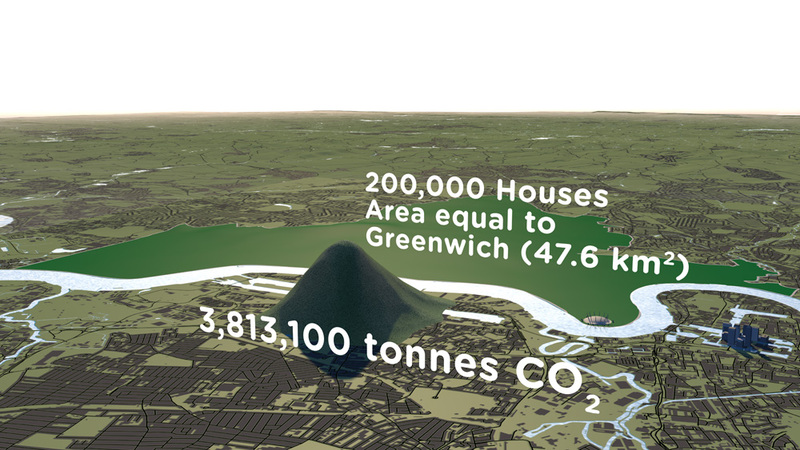 A series of short animated films and case study images using Wood for Good’s data to reach construction professionals, policy makers and the public. The competence and skill you have in handling large data sets is absolutely fantastic. And you still delivered a wonderful set of visuals for us that we can continue to use for a long time to come. How much carbon is stored in a tree? How does that translate into cut timber and wood products? 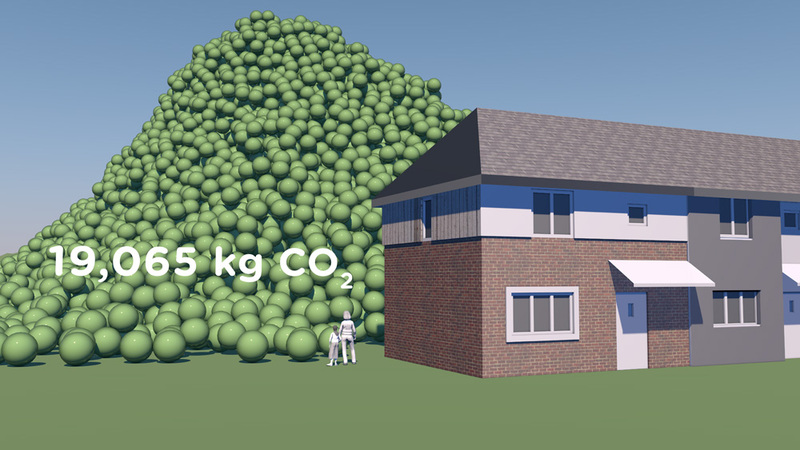 And how much carbon can be ‘banked’ by using timber for building houses in the UK? These questions are raised and answered in a communication project that includes a series of short animated films and set of case study images created by Carbon Visuals for Wood for Good, the UK's wood promotion campaign. The aim was to find a new way to communicate the positive carbon benefits of using wood and timber in the UK construction sector not just to construction professionals but also policy makers and the public. Given the wide nature of the brief we agreed with the client to start the project with a scoping phase. During this, it was decided to split the film into three separate sections that could each work as short stand-alone films, rather than only as one single complex narrative. In addition we agreed to create a set of case study best practice images showing the carbon ‘banked’ in high profile buildings and timber products. It has been very satisfying to shape and create a project which has both a business focus and important educational potential. I would like to see us working with more trade bodies and campaigns that have an important carbon message to get across. By liaising closely with the client in this initial phase we were able to spend time working up a communications plan, sourcing and examining appropriate data and creating draft film storyboards. This established a sound basis for the production schedule, culminating in all visual materials being ready for the campaign launch. Data Sheet with methodology, data and references available here. See Wood for Good website page here. See our post-production video (giving insight from our clients on the project) here.